Meet Rutu Shah, a happy DAT Bootcamp customer who recently conquered the DAT. 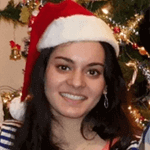 I’ve asked Rutu to share her DAT experience with us as the featured student of May. 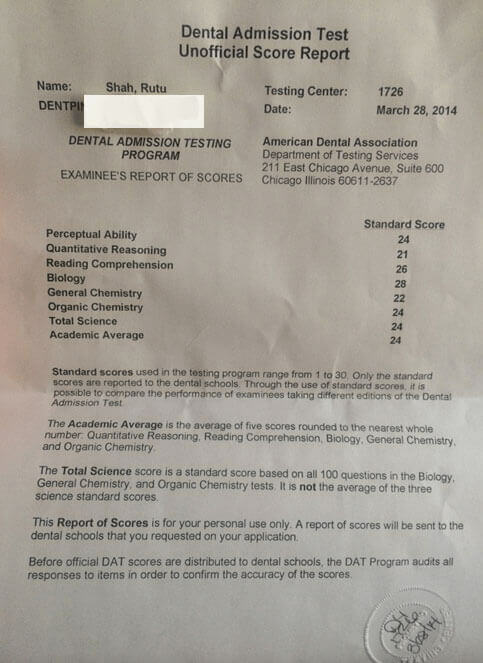 I would recommend taking the DAT when you can devote yourself completely to it and don’t have to worry about school. Staying on track for the DAT is hard, so having a plan and following it is important. I followed Ari’s study schedule strictly for the first half (reviewing content) and changed it to fit my needs for the second half (practicing). I can’t study for more than five-to-six hours a day, so I extended the schedule to three months to make it less overwhelming. Going at a pace you are comfortable with is important! Also, I would recommend making a correction notebook. I would write down any problems I got wrong or formulae I forgot and went over it twice in the last month. On the real DAT, there were a few similar questions that I would not have gotten right if I had not written them down in my notebook. DAT Bootcamp was my primary source for practice. I used no other source for reading and PAT other than Bootcamp. The PAT and RC on the real test was harder while the other sections were equally difficult. All the sections were representative of the test. The amount and content of the five practice tests and the price are a great deal compared to other prep material. 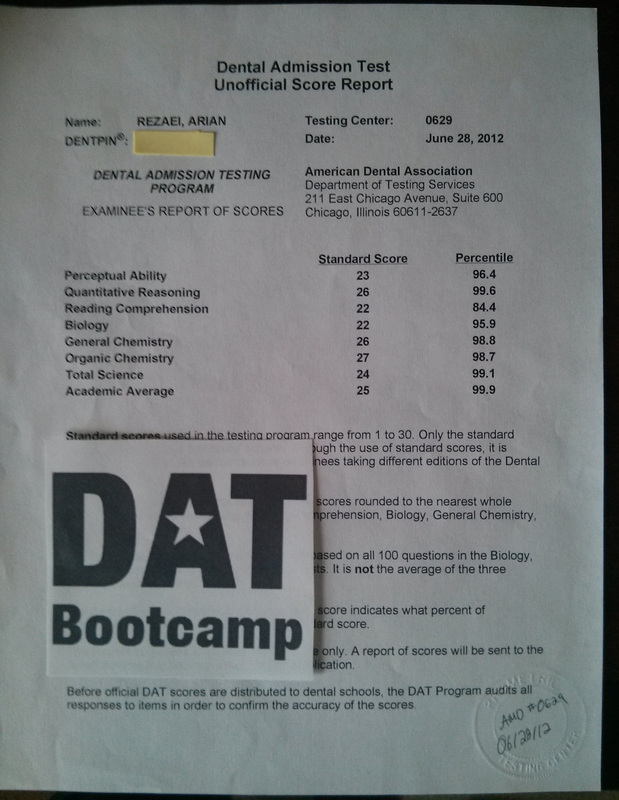 I went through all of the Bootcamp tests twice. The first time, I focused on the material and tried to solve it without looking at the explanation, even after the time limit was up. The second time around, I took each test everyday for five consecutive days before my exam and did practically nothing else. One mistake I made was ignoring my weak points. My content review was broad, and I tried to hit every possible topic that could possibly show up on the DAT, but I did not try and concentrate on a few topics that I struggled with like Elimination / Substitution Reactions in organic chemistry and distance problems in QR. If I were to retake the test, I would spend less time on areas I am comfortable with and practice a lot more on those areas I am weak in. The internet is a great source that has a lot of practice problems in various topics, and old class notes are a valuable resource as well. Another thing I would do differently is take practice tests in one sitting and only take the one break offered in the middle of the test. While all my practice sections were timed, I never took one practice test without either exceeding the fifteen minute break or taking additional breaks in between. On the real exam, I was tired by the QR section and my mind started to divert. It is important to build up mental stamina so your brain doesn’t fail on you during the real thing. My score breakdown: 24 AA, 24 TS, 28 BIO, 22 GC, 24 OC, 26 RC, 21 QR, 24 PAT.